The Grizzlies' Losing Streak: Where's the Bottom? The Grizzlies lost again Sunday night, falling to the Brooklyn Nets 98-88. After that loss, the Grizzlies have now lost eight games in a row, their longest losing streak since the 2008-09 season (when they had a 12-game skid). At this rate, given that their next two games are against the San Antonio Spurs, it seems possible (only because I'm reluctant to say "likely") that the streak will extend into the double digits. It's been a long time since this fanbase was exposed to such an extravagant display of basketball suffering, and it seems like the end is not yet in sight. Naturally, this has been taxing on the fanbase in general, and especially on the fans who have only ever known the Grizzlies to be a playoff team. There's a subset of folks who are nonchalantly dusting off their Drew Gooden water bottles and Juan Carlos Navarro jerseys, but they're the exception rather than the rule. Times are tough in Grizzlyland, and the fans are out for blood. But who's fault is it? Who is to blame for the Grizzlies' current woes, and how long are they going to continue? The answer to the first question is everyone. Let's share the blame among all parties who deserve it, shall we? This is true on some level. Mike Conley is hurt, and Chandler Parsons is recovering still (and all we know about his injury against Brooklyn is that he felt tightness and didn't return as a precautionary measure). Wayne Selden is still hurt. Ben McLemore's on the floor but missed all of camp with an injury. But part of the reason the Grizzlies are struggling right now is that too many of the guys playing major minutes just... aren't very good. Jarell Martin played his way onto the roster over Rade Zagorac, but he can't defend and doesn't rebound, and his offensive game is still mostly upside. Andrew Harrison made the 15-man over Wade Baldwin, but Harrison's been terrible and Baldwin seemed like the least likeable guy the Grizzlies have ever drafted. I was challenged by one of my colleagues before the Nets game to come up with the Grizzlies' best defensive lineup, with Conley/Selden and without. Neither of the five-man groups I came up with was satisfying. Couple that with an offense built round scrappy second-round picks, Tyreke Evans' ball-stopping scoring explosions, the slow/creaky crescendo of Parsons' return to action, Mario Chalmers' continued bravado in the face of diminishing physical ability, Marc Gasol's predictable post possessions and unpredictable mental state, and you've got a team that just doesn't fit together very well. 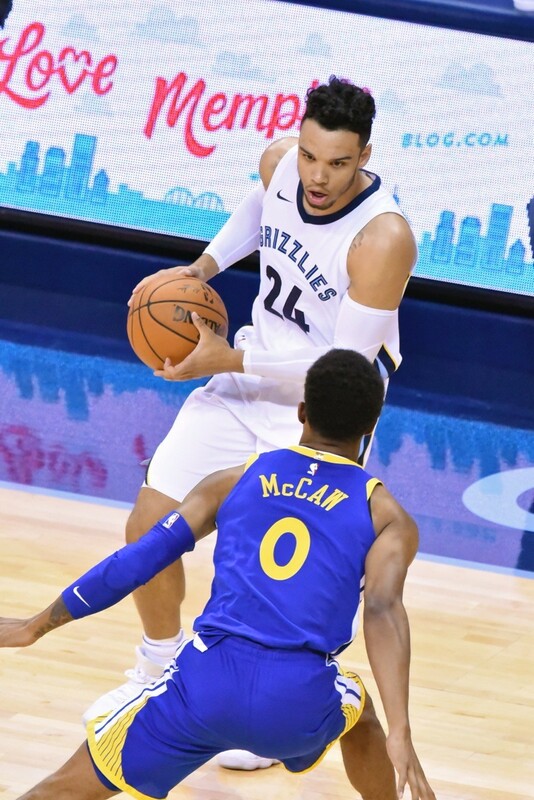 Dillon Brooks has played well, but few of the Grizzlies' other young guys look ready to play. The Grizzlies had to have all of their injury-prone guys play well all season to be good. They also needed some (if not all) of their bets on young guys to pay off. They've been more fortunate than not in both areas, given that only Conley is hurt, and that Dillon Brooks and (only recently) Deyonta Davis are playing well. But what happens when Parsons or Gasol or Evans, all of whom have big injuries in their pasts, miss a chunk of time? What happens when Brooks hits the rookie wall? When Brandan Wright goes out for three months, again? Who fills in those gaps? Given how many times—practically the whole Joerger era—the Grizzlies tried to run it back with the Core Four, and how many times they eschewed going younger to bring in veterans who the dang coach would actually play would push them over the top, it's a minor miracle that they even have as many halfway-decent young players as they do. But at the end of the day, halfway-decent young players are still only halfway decent. And therein lies the rub. And there are fit issues even in that area. How well can Tyreke Evans and Marc Gasol ever really coexist in an offensive system, given how dramatically different their concepts of the sport of basketball are? 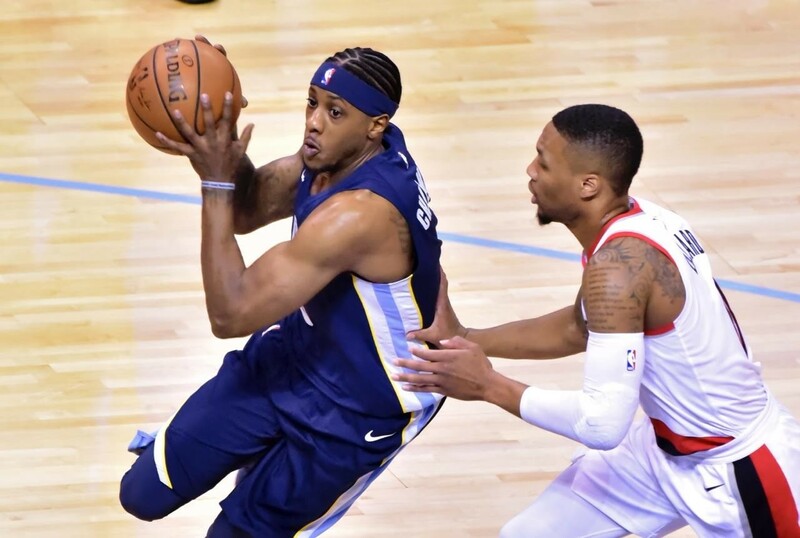 Just how badly did the Grizzlies gamble on whether Mario Chalmers would be able to play just like he did before his Achilles injury (which happened 18 months ago, causing him to miss over a full season of basketball)? What's Ben McLemore's role, and how quickly is he expected to stop being Sacramento Ben McLemore and start being Platonic Form of Ben McLemore? Because that's not something that happens right away, and shouldn't have been expected. A question that can be answered for almost every good basketball team: what kind of offense do the Grizzlies run? 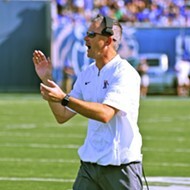 What are the principles of their offensive system? However many games in, and I'm not even sure the Grizzlies themselves have it down. Sure, JaMychal Green and Ben McLemore missed training camp and now they're playing major minutes, but the rest of the guys didn't. There's no chemistry at all on offense without Mike Conley, and when he was playing, it only existed with Conley and Gasol. No one looks like they know what they're doing, or like they can predict how anyone else on the team is supposed to move without the ball. There's a lot of waving, a lot of questioning eye contact, and not a lot of slick movement. Fizdale has seemed as lost as the players at times, with a disjointed offensive look and strange lineup decisions. This is an exceedingly bad halfcourt offense this year. If it's not Conley/Gasol pick and roll (hard to run without Mike Conley), everything the Grizzlies generate is an open three, Tyreke doing whatever Tyreke's going to do, a Gasol post-up, or maybe something in the midrange between defensive players. There's no easy way for this team to get a bucket once the defense is set. Speaking of defense, there are only ever two or three guys playing the same defense at the same time. 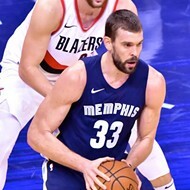 Communication seems to be a constant issue, with Marc Gasol sometimes going all out only to find no one backing him up, and other times playing disconnected and tentative because he doesn't know whether to trust the guys out in front of him. If they're not getting easy baskets by getting stops, the offense doesn't work, and when the offense doesn't work, the defense goes quickly, too. 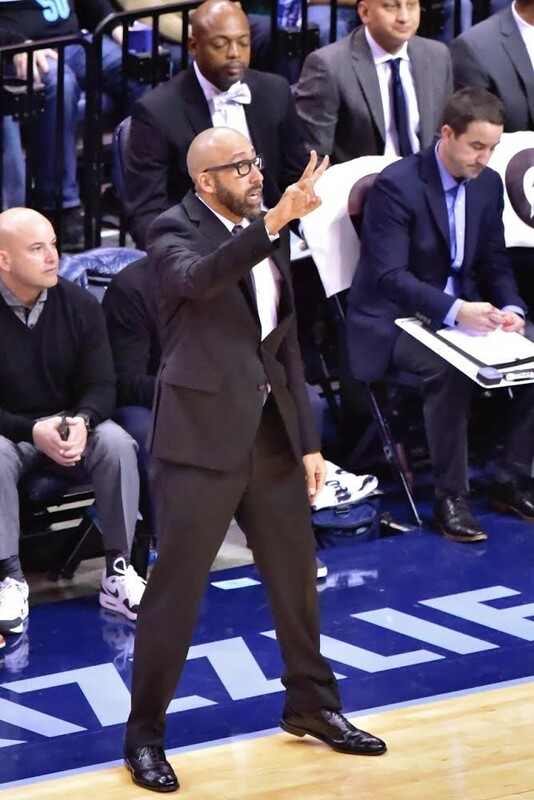 And even if the players looked organized, Fizdale has struggled—especially during the losing streak—to actually put his best players in a position to succeed. Against Dallas last week, Deyonta Davis played a huge first half and then only saw 3 minutes in the second. James Ennis has moved from starting to coming off the bench, but with no clarity about his role (and that move from starter to bench has historically thrown him totally out of rhythm). 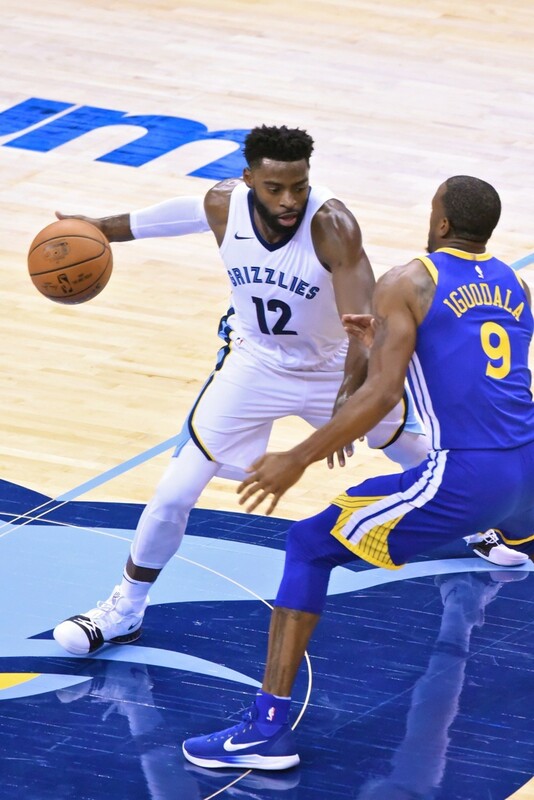 Andrew Harrison gets point guard minutes that should probably just go to Tyreke Evans, even though he's not a good facilitator. Jarell Martin and Ben McLemore both get lost on defense and cost the team dearly, and yet they're left on the floor in lineups together while the game gets away. It doesn't seem like Fizdale has a good feel for which guys to play where, and it doesn't seem like he's developing a feel for it, either. Instead, he coaches by feel, the Lionel Hollins method—the same method that saw Hamed Hadaddi and Dante Cunningham on the floor together in the close fourth quarter a home Game 7 in the playoffs. But what, exactly, is Fizdale telling these guys about getting shots and staying confident? After the Dallas game, in which Dallas intentionally left Griz shooters wide open knowing they'd brick the uncontested shots, Fizdale said before the Denver game that he'd reviewed the film and was happy taking all of the open shots. "I'd rather have that than have them drive into traffic," he said. But when the three point shot isn't working, why keep taking shots you can't make and keep getting killed, when you could at least get into the lane and get to the foul line? Is "shoot through the slump" the Grizzlies' entire offensive philosophy? 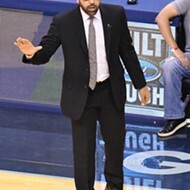 In the fourth quarter of the Brooklyn game, while letting a lineup of young guys attempt to bring the Grizzlies back, Fizdale benched Gasol for the entire fourth quarter, either to teach Gasol a lesson or not realizing that it would look like he was teaching Gasol a lesson, something that I believe was a grave miscalculation. After the game, Gasol seemed baffled by the move, was frank about how angry and frustrated he was by the move, and seemed genuinely hurt by it to boot. On a team where communication seems to be a constant problem on both ends of the court, what kind of communicator is the guy running the show? Is the communication problem coming from the top, or from the bottom? Why doesn't anyone on this team seem to know what they're doing or why? Mario Chalmers has struggled to run the team in Mike Conley's absence. Mario Chalmers has lost confidence in his ability to get to the rim, for good reason, but he's settling for bad shots and pulling up his dribble in the pick and roll instead of trying to facilitate around it. 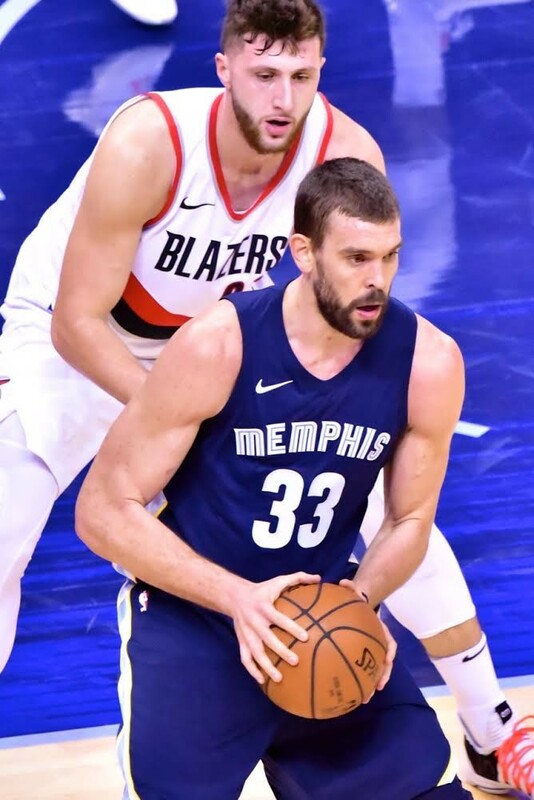 Marc Gasol frantically alternates between trying to do everything, and doing none of it well, and trying to do nothing, because trying to do everything doesn't work either. It's hard to blame him for being frustrated, but on a night like Sunday when he only has 1 assist, he's clearly off his game and not with it mentally. James Ennis has been a non-factor since moving out of the starting lineup, whereas before he was a decent defender and got tons of putbacks on Conley and Gasol plays. Ben McLemore has very few moments where he looks like a good basketball player, and more typically looks like a guy who looks like a good basketball player. He's got the Jeff Green "if this guy ever plays to his potential..." vibe. He ain't playing to his potential. JaMychal Green has actually been pretty OK since returning from injury. Jarell Martin shouldn't be playing because as hard as he plays and as much real progress as he's made on the offensive end, he cannot be on the floor much if any because he can't defend at all. By no stretch of the imagination should he be playing 10 minutes in a close game, because he's just not there yet. Tyreke Evans has been the Grizzlies' savior on offense, but when he's not scoring he's a black hole. It's easy to see why teams on which he's the best player have never been good: how do you run an offense when the ball is almost always in the hands of the guy who can't/won't pass? It's not 2009 college basketball. Evans has to learn how to function within an offense rather than being the sum total of the offense. Andrew Harrison is still only ever going to be a low-tier 2nd or 3rd point guard. That's a fine ceiling, but we should all agree by now that that's his ceiling. His floor is depressingly far below 2013 Keyon Dooling, and he spends a lot more time performing at his floor this season. There are more, but I only have so much pent up frustration, and so much time to actually write this thing. You should get the picture right now: the front office put this team together, the coach and his staff are responsible for implementing the principles they deploy in the game, and the players themselves are responsible for executing those principles. At every level, there are flaws with the 2017-18 Grizzlies, and that's why they're in a tailspin right now. So let's tackle the second part of the question: how bad are things going to get? In the short term, with two games against the Spurs coming up, it seems likely that the Grizzlies will lose at least 1 of those, so they'll come into next weekend at 8-13. Beyond that there's a road game at Cleveland, a home game versus the Timberwolves, a road game at the Knicks (who are, for some reason, not terrible). By the end of next week, they've also played home games against the Thunder and the Raptors. Things could get dire. It's totally possible that they can't beat a single one of these teams, or may only beat the Spurs once because Gregg Popovich decides to rest the whole team and play the Austin Spurs for the Memphis half of the home-and-home. In a more generous scenario, the Grizzlies still only win three or four of these games. Beyond that, the next stretch of December sees them take on Miami, play a road game in DC (the Grizzlies seem to always lose in DC), home against the Hawks and Celtics, and then away at the Warriors and Suns. I think I feel good about, like, four of the games I've mentioned so far? And that's being generous, because right now, this Grizzlies team can't beat anybody if they can't close out the Nets or the Mavs. It's entirely possible that the Griz get to Christmas 10 games under .500, at which point all hell breaks lose with Gasol trade rumors, for better or for worse. And what happens if Conley misses two months? What happens if Parsons misses serious time with the knee tightness he felt against Brooklyn? What happens when Tyreke finally tweaks something and has to sit a while? If the Fizdale/Gasol relationship starts to get more frayed as a result of the coach's desperation benching on Sunday night? There's not much to trade for. There's not much to be done. This team is headed to a dark place very rapidly unless they start figuring things out on the fly. But they need the coach to figure out who his best players are and how to deploy them. They need to get it together while he gets it together, and it's hard to spring forth with the chicken and the egg at the same time. 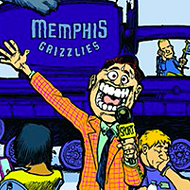 Things are going to get worse before they get better for the Memphis Grizzlies. 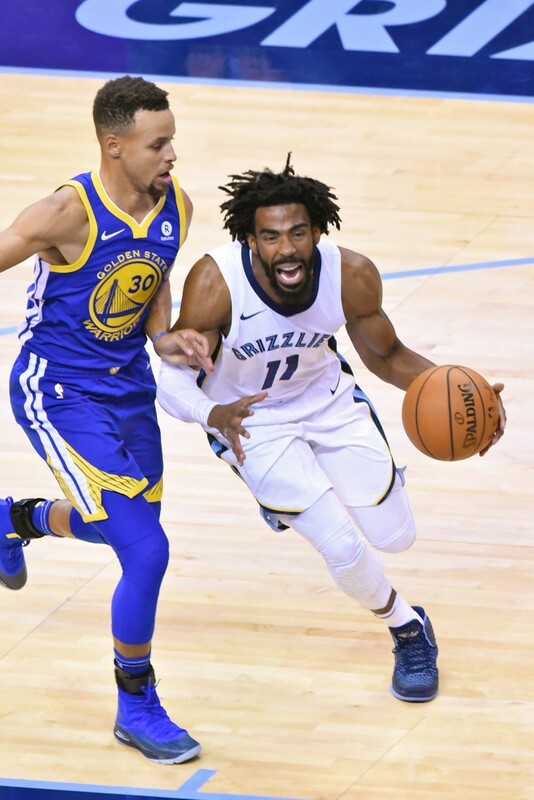 There is no path forward to a better future that does not lead downward through this period of strife; if anything, that path forward won't even be revealed until Conley returns from injury and the Grizzlies see what they've got. By that point, if they continue this skid, it's possible that they'll be out of touch with the 7 and 8 spots in the West and those 35-win predictions from ESPN that were so unpopular in the preseason turn out to have been the right ones all along. I still believe they'll figure it out, because I still think if the right guys are healthy and playing well this is a good team, but if this team is going down a 2008-09 path and a 2008-09 timeline, it might be 2020 before we reach it. Break out the Darko throwbacks. Correction: The 2008-09 Grizzlies' biggest losing streak was 12 games, not 9 as previously stated.